It’s been fascinating to watch the unfolding public conversation about Avatar (much of which, come to think of it, my early review had anticipated): environmentalist celebrations of how it portrays the Earth rising up against the megamachine of capitalism and patriarchy; critiques of how the film perpetuates the stereotyping of indigenous people and reiterates tropes of their salvation by white male messiah figures; the Vatican’s and religious right’s denunciations of its pantheism; the film’s advance of technological wizardry into the domain of a virtual hyperreality, like The Matrix but replacing that film’s gnosticism with a pantheistic new age science of networks and neural systems; and debates over the balance struck in the film between good spectacle (the high-tech stuff) and bad narrative (poor writing, flat characterization, stereotypes all over), or between bad spectacle (Spielbergian gee-whiz stuff) and good narrative (such as the film’s allegorization of global capitalism’s destruction of indigenous communities). Film Studies for Free has usefully summarized the various allegorical readings of the film proposed so far, many of which get articulated in conversations and comments by viewers in various blogs, op-ed commentaries, and social networking sites. The religious debate has been interesting in part because of the negative reactions that have greeted some of the conservative commentators like Ross Douthat and others who lament the film’s pantheistic nature spirituality and its associated “anti-Americansim” and “anti-humanism”. In his New York Times op-ed, Douthat wrote that “the human societies that hew closest to the natural order aren’t the shining Edens of James Cameron’s fond imaginings. They’re places where existence tends to be nasty, brutish and short.” About 90% of his 146 commenters disagree, sometimes vehemently, with his assessment, generally by sympathizing with the film’s pantheism and seeing in it either something deeply American (in Transcendentalism’s line of descent), much more broadly religious (such as “panentheism” or some mixture of animism and stewardship), or just eco-pragmatically commen-sensical. And while some of the Christian movie sites that typically like to bash Hollywood liberalism do trash Avatar, others (reviewers and commenters alike) are surprisingly positive about the film. Defenders can also be found among more sophisticated conservatives, like the localist Front Porch Republic, and even the libertarian Cato Institute has defended it as an argument on behalf of property rights, the very foundation of capitalism. What’s more surprising and interesting about the film, however, is how it’s not only breaking box office records around the world, but also may be setting off waves of emotional contagion in its wake — from spurring the launch of numerous fan groups and blogs to providing encouragement and fuel for environmental and indigenous activists as widely dispersed as South America, South and East Asia, and Palestine (portrayed above), to creating something that’s been called “post-Avatar depression.” But let’s start with the politics. In Ecuador, as the above video shows, members of various indigenous groups have been impressed with the parallels between the Na’vi and their own struggles against mining corporations and corporate or governmental military proxies. A little digging reveals that this meeting of indigenous people and movie screens, reported on The World and disseminated widely on web sites, was arranged by Lynne Twist of the Pachamama Alliance after reading Tom Atlee’s blog post suggesting that very kind of thing. (See more on that here.) Meanwhile, Bolivia’s indigenous president, Evo Morales, has praised the film as an “inspiration in the fight against capitalism”. Elsewhere, proceeds from the film are going to fund reforestation projects in Costa Rica, and in India, a tribal group has appealed to James Cameron to help them stop the open-cast mining of a mountain by the (perversely named) Vedanta Resources mining company. The indigenous response, of course, hasn’t been all positive, and most of it is prefaced by low expectations, along the lines of “we don’t expect anything from Hollywood to reflect our perspective, so we’re not surprised that it took a white guy to save the Na’vi, but . . .” Aboriginal studies professor (of Cherokee ancestry) Daniel Heath Justice provides a nuanced analysis of the film that takes these many things into account. In China, meanwhile, as the film has broken box office records and with the government more recently banning, or at least restricting the film to a small number of 3-D screens because of its seemingly (counter)revolutionary potential, activists have also been encouraged to see the struggles of the Na’vi as their own. 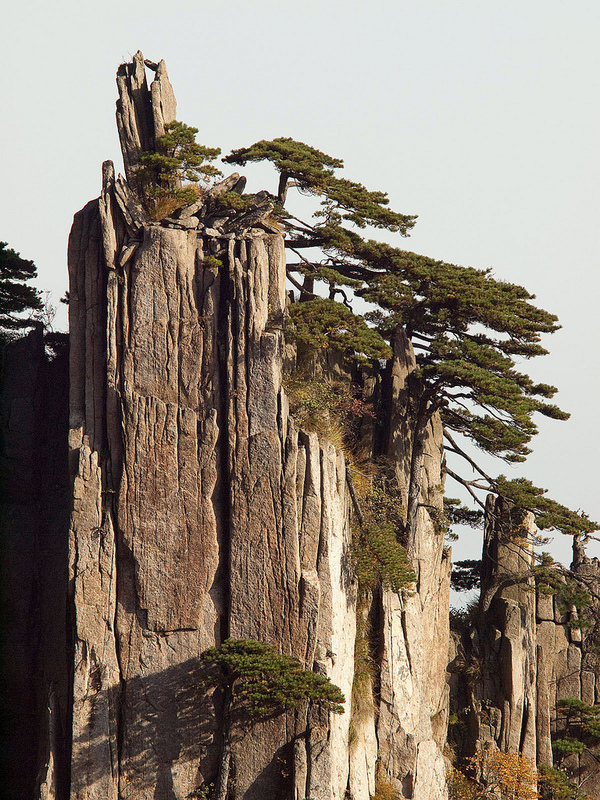 China’s other main connection to the film, apparently, is that the mountains on Pandora were modeled after China’s Huangshan and Zhiangjiajie mountains, a point that locals have begun to make use of in tourist promotion. Some of the more interesting discussions about these kinds of issues have taken place among anthropologists, which isn’t surprising given how many anthropologists study similar but real-life cases of the same relationship between land-based indigenous groups and resource-coveting outsiders. Kerim at Savage Minds describes the film as being “like a giant anthropological piñata,” while other anthropologists have picked up on the resemblance between the film’s “avatars” and the real-world human terrain avatars of the U.S. military’s occupation of Iraq — anthropology being historically deeply implicated (at times) within militarism as well as colonialism. On the E-ANTH environmental anthropology listserv, while many listserv members have taken the film to task for its sins — the white messiah complex and the stereotypical portrayal of the Na’vi (one of them sees the tails on the Na’vi as a reminder of Victorian pictures of Africans and Irish drawn to look like monkeys) to the violence displayed throughout as the only possible solution — a greater number have praised it for capturing with such force what indigenous people around the world recognize as their own struggles against mining companies (in Ecuador, India, Costa Rica, Peru, and elsewhere) and colonial invaders more generally. Some have reported audiences as far apart as Brazil and Malaysia leaving theaters energized and mobilized for discussing issues of imperialism, globalization, capitalism, and struggles over control of resources. The film’s pro-mining humans, one contributor suggests, are recognized as the same faces as those of private security companies at extractive mines around the world, at a time when human rights abuses at such mines are up to an all-time high. Another theme referred to positively on EANTH is the film’s sympathetic portrayal of disability in the character of Jake Sully — something all too rare in popular cinema, according to one contributor (though I’ve read critiques elsewhere that this portrayal is superficial and more of a squandered opportunity). Among the phenomena that have arisen in fan responses to the film is the aforementioned (and not yet in the DSM) post-Avatar depression, a malady suffered by those for whom the real world of Earth seems black-and-white-and-all-too-gray in comparison with the deliriously alluring world of the Na’vi. What this sounds to me like is a combination of eco-despair — the response, according to ecopsychologists, that many people feel when they come to recognize the extent of the ecological crisis — and a version of Virtual Reality withdrawal. Because Avatar is a movie and not the kind of VR environment that’s repeatedly visited by gamers, and yet comes close to being as immersive as VR, at least when viewed through 3-D goggles, the withdrawal symptoms are hidden or subsumed into the seemingly more real ecological reality check. The film’s version of the “wilderness sublime” is made real, if not hyperreal, in the intensity of its cinematic portrayal. And the equally intense depiction of the viciousness of the colonizers’ land grab, the assault on people and nature and the accompanying Trail of Tears-like dispersal of the Na’vi, is hardly mitigated by the reprieve they seem to gain at the film’s end — a reprieve that anyone who knows history understands can only be temporary. What awaits our inevitable return to Earth, then, can be doubly disappointing. Help is on its way, though — in the form of video games and, for the more dedicated, dictionaries and biological and social history field guides. It won’t be long before Na’vi fan cults with appropriate garb and rituals take the place of the Klingon and Elvish reconstructionist clubs (and religious groups, for that matter), though it might take a sequel or two to generate more Na’vi vocabulary. All of this makes for a wild set of relays spinning off the thousands of global screens showing what some call “just a movie,” but what is really a dense intersection of images, intensities, narratives and affects weaving their way into the thoughts, feelings, bodies, dreams, conversations, and socio-political worlds of their viewers. It’s not the kind of film I would consider “great,” but if a film is what a film does (as I argue in the book I’m writing), this one has a rare combination of power — by which I mean Hollywood power, made of money, technology, and a better distribution network than anyone on Earth — and “juice”, by which I mean a certain visionary wizardry in the way it melds image, sound, story, and spectacle and sets them into affectively compelling motion. The fact that it deals with some of the most important themes around helps to make it an important movie, but whether it does that well or not is a matter of diverging opinion. At least it does it better than The Day After Tomorrow. Thanks to the members of the E-ANTH listserv for sharing their thoughts on the film, and especially to James Igoe for a nice articulation there of the argument about Avatar’s “hyperreality.” And a final plug for Kvond’s series of posts on the more bodily-sensorial dimensions of the film, which set out on a very promising line of inquiry that was unfortunately cut off by the sudden (and hopefully temporary) suspension of his blog. Anyone else care to take up that trajectory? The effect of avatar is quite amazing, we all want to go off world to Pandora, was like pandoras box? Adrian, great overview and compilation of links. In the old days I would have dismissed the film as false consciousness, but I’m convinced that it taps into a very real, and primal feeling in people. I’m now also learning about “affect,” which I think acknowledges a more liberating state that we can find in media. I’ve been reading “Hijacking Sustainability” by Adrian Par. Her discussion of Green Hollywood has some relevant points in this regard. It seems like the discussions mirror the older media debates of culture industry versus uses and gratification. What I enjoy about watching this phenomena unfold is how all these old divisions are being shattered, and how that film occupies a borderland between them. Thanks for the reflection and the overview. I just saw Avatar with my 6 year-old daughter, in Bangalore where I am on sabbatical. At the end, she said, it made her feel like she was back in New York. Why? Because everyone who wasn’t Pandoran was White, Black or possibly Hispanic. I have a question: I work on human rights impacts of mining, and constantly encounter the anthropologist working for the company. (Sebastian Mallaby of the Washington Post wrote a horribly distorted account of one such anthropologist, Ellen Brown, who guided Exxon Mobil through the takeover of land in Chad. See http://www.edf.org/documents/4187_mallaby_rebuttal.pdf.) Have you come across any Avatar-inspired discussions of the current role of anthropologists in easing the way of the mining and oil companies? Peter – I’ve seen stuff on that topic, though not specifically post-Avatar, and I don’t recall where I’ve seen it. Anthropologists are certainly aware of the long history of their contributions to colonialism, etc., and there’s been a lot of recent discussion about anthropologists used by the military – see here. But all of that is more general than what you’re looking for. It might be worth asking at Savage Minds or one of the other Anthro blogs. Its a great movie, I think it was very well done. But the story seemed to me to be a reworking of Aldous Huxleys Brave New World. A story that in 1931 reflected peoples fear of losing individualism, it was a commentary on what capitalist America was becoming and how it rapidly changed since the industrial revolution. Really, looking back, did “Avatar” even stand a chance? “Avatar” is still raking in the profits, but failed to produce the critical success that Cameron’s previous film, “Titanic,” generated 12 years ago. In fact, “Avatar” — the most financially successful film of all time — was easily as the most mocked film of the evening. as i think it is really amazing scientifically movie. I am sorry to say this, but I didn’t really like Avatar. I don’t find many people who would agree with me. First off, I’m not a big fan of James Cameron. Everything by him seems just a little cheesy. Second, Avatar is a way too stuffed with special effect, and the writing… let’s just say, I was expecting more. I watched Avatar from Costa Rica with my two sons, 9 and 12, they saw the earthlings as being Americans. The film is in a sense anti-American. It is against manifest destiny, against civic religion, and against the mainstream historical perspective. It broods over the ever-present, imaginary alternative narrative of America. What if the conquest and slaughter of Americans during colonial and post-colonial periods hadn’t happened? What if we had learned to appreciate a way of life that is actually sustainable? Perhaps these are questions we can finally engage with relative seriousness? Avatar, to me, was a fantastic movie. It illustrated a conflict that wasn’t that far from reality. We (here on Earth) are dealing with a similar issue when it comes to power and alternative means of fuel. If we don’t make some changes soon and start implementing methods such as solar, wind, geothermal and water then future trouble will be imminent. However, when it came to the writing for the movie and the overall plot, I thought I was back watching another Pocahontas movie. You can be very critical about the film, emphasize all the weak points, the simple and in some sense everyone familiar story, dislike the Hollywood style and so on and so forth but there is one thing everyone should admit: It’s hard not to be touched by this film, either in a positive or negative way. And basically this is what good cinema should do – it should trigger emotions. By far a GREAT film. Like one of your previous post mentions it is hard to not be moved by this film. What amazes me is how people from all walks of life and professions after seeing the movie come up with totally different points of views on the message of the movie. That alone should make you aware of just how great this movie really is. Sometimes a film can get a point over far better than a bunch of politicians or ecological activists could ever do. And this film shows that better than any. We have to live with nature and not live to destroy it. I don´t know enough about ecology to say what harm it would do the planet, I just know that life feels much better and pleasant when you live amongst nature. Personally i love that film’s impact on the eco consciousness of people that normally wouldn’t be. It’s also refreshing to see how it has increased the desire of the public to be more interconnected. I thought the movie was ok, although thought the over all graphics were great. I do however feel the younger generation really looks more at this as entertainment and some of the younger kids I spoke to about this film really thought it was awesome and even traveled to see this film in Imax, and then returned to see it again. Regardless of the many debates this movie has stirred up the makers certainly raked in the money. I agree with Robert. You can see so many things differently, it is all about the you WANT to look at it. I loved the film, even if it wasn’t the best one. Amazing movie and a great post you have here. I rewatched the movie at home, and watching in 2D greatly diminishes the viewing experience. I never thought watching in 3D would effect a movies quality. in fact good stuff in support of visitors. I belive Avatar was a cultural phenomenon. There still hasn’t been anything quite like it. A great story, well told and amazing effects for it’s time. James Cameron has changed the face of film. It was great movie with amazing effects. Great article. very useful. Thank You for the author.